Most people are visual learners. So don't try to sell your services just with words or brochures. 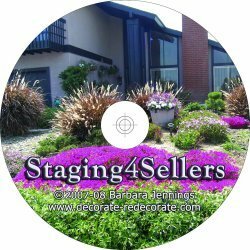 Instead give your prospects a CD or DVD that will SHOW them how they can benefit from the services of a professional home stager like you. If you're just starting out, in particular, you don't have any before and after pictures to show to prospects. Yet, pictures are worth thousands of words. So to help you, we've put together a series of before and after staging pictures designed to show the average person the difference between the way people normally try to sell a home and the way it should be shown. 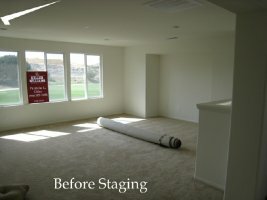 Mixed in with the before and after pictures, are slides that point out the benefits of hiring a home staging professional, regardless of where they took their training. I just finished creating a professional slide show that you can "loan" to anyone. They just pop it into their CD player on their computer and can view a 7-8-minute slideshow (71 images, with musical background (don't forget to have the sound turned on), which will show them "before and after pictures" of living rooms, family rooms, dining rooms, kitchens, bedrooms, and exteriors. They will instantly see what a remarkable difference and improvement has been made, simply by utilizing professional guidance you will give them, whether just as a consultation or whether you provide the entire in-home service and labor. The mix of pictures cover all types of homes, from small condos and older dwellings to expensive homes, so anyone viewing the presentation can find a home that they can relate to. The slideshow is meant to get them intrigued enough to contact you for further information. We all know that it's easy to get a wife interested in the service, only to have her go home and try to explain it to the husband, where the whole thing gets stopped before it had a chance to begin. Now you'll have a great media presentation to do that for you, so that wife or husband isn't compelled to explain your service. 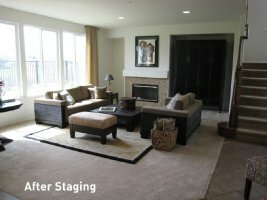 They can easily show the type of service they would get using the visual presentation, just as you can see in this before and after shot of a client's living room, going from an empty room to a fully staged room that truly invites a buyer to fall in love with the home. Or how about this living room. With the furniture placed in all the wrong places, the room was totally unattractive and unappealing. 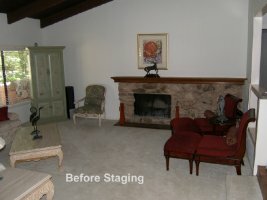 The work of a professional stager solved the whole problem without the client ever having to purchase anything. 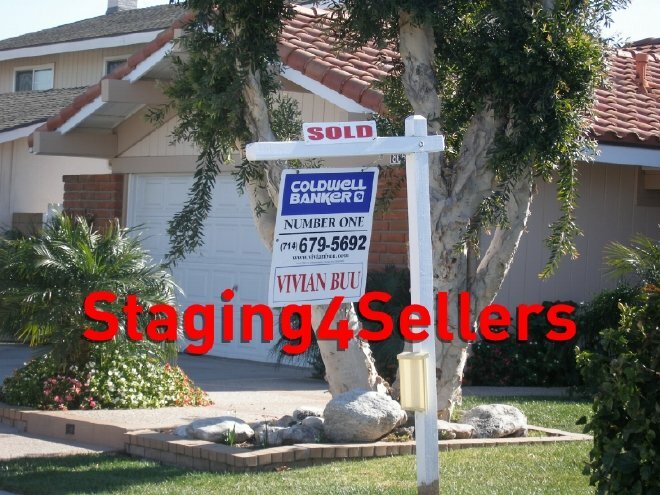 These are the goals of every stager (or redesigner) and this important point can easily be shared with the prospective home seller through the myriad of staging photographs in the presentation. You would, of course, have made arrangements already to pick up the CD or DVD at their home and retrieve it for further loan out. But more importantly, you're then right there in the home to be sold and can more easily turn the prospect into a client. So don't defeat yourself before you get a real opportunity to discuss your services. Best of all, you can purchase this product at a discount by buying several copies in one order (sets of 3, 6, or 12). The more you have circulating for you, the more business you will be able to garner. Simple as that. Order yourself a set right away. 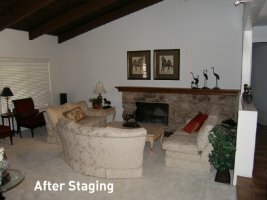 Start SHOWING the benefits of staging and stop relying on written or spoken words to communicate. Words are great, but not as good as a photoshow. "Terrific! What more can I say. - June Alders"
these totally EXCLUSIVE CDs (which should sell for 3 times the price) will only be priced based on the quantity you order at one time. There are 3 options as follows: $65.00 for set of 3 (plus S/H), or $80.00 for set of 6 (plus S/H) or $120.00 for set of 12 (plus S/H). Obviously the more CDs you order at one time, the less each one costs and the more income you should generate because you'll have more CD's floating around generating interest in your service at any given time. Smart business owners know that in the end it's a numbers game. Smart business owners invest in the tools that will help them generate the most money in the quickest time. This is why we recommend the 12 set CD option, however, we do recognize that some people may not be able to afford that much at one time. This is why we are offering two additional options for a limited time. The response rate we get will determine if we continue to offer 3 options or not. Remember, you should make three times that amount back from your first client on the 6 set version! Be the first one in your area to start sharing and circulating dozens of these CDs with your potential sellers. You can even use them to promote your service to real estate agents or for them to buy from you to present to their clients on your behalf. The point is, stop trying to TELL people what you do and start SHOWING them instead. Don't delay as this price may go up at any time. You're not going to find a promotional tool like this anywhere on the internet or off! Not even the big super expensive seminars offer a tool like this. They just grab your expensive fee on the front end and then leave you to fend for yourself on the backend. This is an incredible deal, even at three, four times the price.